KRM: Keaton Raphael Memorial - Sponsor a well deserving Parent for a night out with EMH! EMH is proud to support the families of KRM with a night out for a bit o laughs with it's latest production: An Almost Perfect Person. If you are willing to be a Hero yourself, and give some well deserving parents a night out, please purchase your tickets below and we will send it to a family in need! You will receive information regarding who you helped give a night out to and with your permission we will let the family know who was kind enough to get them out for a night of fun. Thank you in advance for you generous heart. THANKSGIVING is a time to be thankful for what you have and to share that thanks with others. WE hope you will get into the spirit of giving and send a well deserving family out for a night of theatre fun! TICKETS: Use the drop down menu to select the day and time. Thank you! 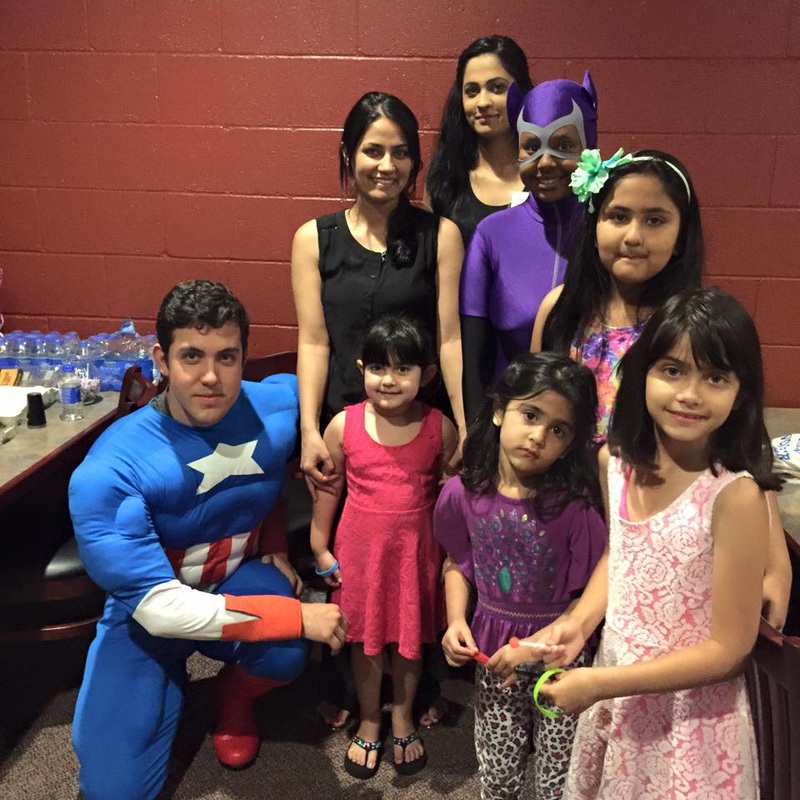 "We are the League of Heroes Inspired, a nonprofit organization dedicated to bringing superheroes from the page to real life in order to inspire the kids that love them so much. Kids that have gone and are going through traumatic circumstances – illness, abuse, neglect, among other things – are as much heroes in their own right as Superman and Iron Man, but sometimes just need a reminder of that. LHI was founded in Sacramento, CA, by counselor and psychotherapist Mitch Darnell. It’s run by a team of volunteers looking for more volunteers wanting and willing to do what they can to empower kids and adolescents. 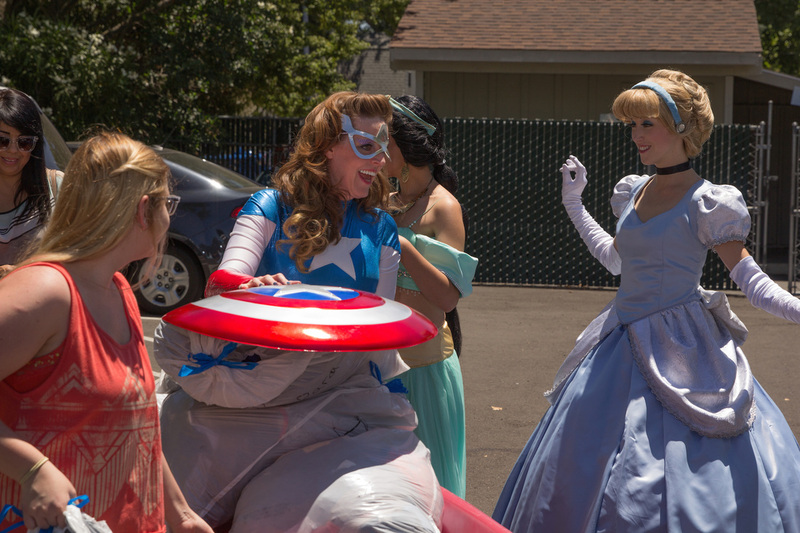 Ever wanted to be Batwoman, Cinderella, or She-Hulk? Now you can! And make a kid’s day in the process." Check out their About page, then click over to Volunteering and contact us. EMH will be holding a raffle during the run of An Almost Perfect Person which will benefit the League and all they inspire. Come ready to get some raffle tickets and pitch in for a great group of people who make such a huge difference in the lives of those around them! These are the Heroes we Love! This is who is inspired by these wonderful heroes! Visit the League's FB Page for more information!